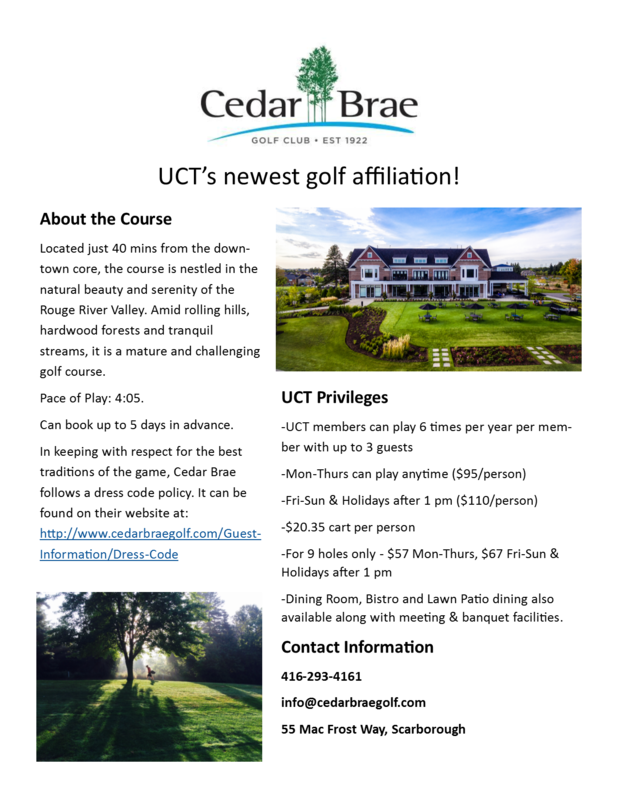 UCT members enjoy golfing privileges at a number of clubs closeby. Below is a brochure with basic information on each of the golf clubs including, price, playing times and contact information. For more detail information on each of the courses and our arrangement with them, please click on the links below. Please check the details of each arrangement as members are limited in the number of times they can play each course per year (4-6 depending on the course) and may be limited in the timing and days of the week. Additionally, The University Club has a golf practice facility on site on the same floor as the squash court. Members and guests may bring their own clubs or use the practice clubs in the facility.There are two swing practice-nets and a practice putting area available. There is no need to pre-book the facility.